Uniquely, Need A Can, LLC and its staff are primarily made up of professional women who have been in and around the Scrap Metal Industry for many years. 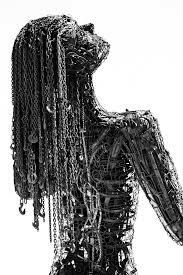 We are a Women Owned industrial scrap metal and recycling firm. We purchase nonferrous, ferrous, high temperature alloys and more from various industries, including but not limited to aluminum, brass, copper, lead, stainless steel, zinc, cast iron, and steel. We process the incoming scrap metal by several methods such as baling, cutting, chopping, shearing, and sorting. Need a Can, LLC was founded by Michelle Mandola out of Morris County NJ back in 2011, along with the help of three other long term industry professionals. The company began operations out of the home some years ago while researching and documenting the needs of those who generate scrap and the many concerns customers have when scrapping their assets or recycling their products. Our team is built on the 20+ years’ experience in the Scrap Metal industry by two very knowledgeable women. We have served all types of businesses include the large conglomerate to the small family plumbing business. The need for honest, hardworking and dedicated customer attention is primarily the answer to all solutions in this field. The scrap metal industry has evolved into a highly sophisticated commodities market where the end user has specific requirements so that the scrap conforms to very precise grades and specifications. We, learned, we must operate with such compliance to what has become an internationally recognized standard that recognizes over 100 grades of nonferrous scrap and 100 grades of ferrous scrap. To make this happen it requires a great deal of sorting, processing, and analysis through the use of a variety of commercial equipment and training. 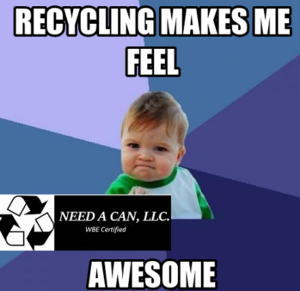 We know the recycling business during the time when recycling wasn’t smart or trendy and most businesses and/or residents of the Northeast weren’t concerned with preserving Mother Nature’s resources. Today, our commitment to recycling is unsurpassed in the Northeast area.